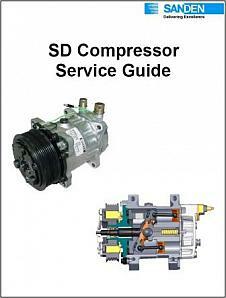 Many service operations can be performed on Sanden's SD compressor series. The purpose of this service guide is to provide the correct procedures for performing service operations. This guide also provides procedures for proper diagnosis of compressor issues and servicing of HVAC components related to the compressor. The procedures contained in the service guide are considered to be HVAC industry "best practices". Many service operations can be performed on Sanden's TR compressor series. The purpose of this service guide is to provide the correct procedures for performing service operations. 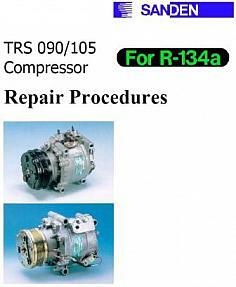 This guide also provides procedures for proper diagnosis of compressor issues and servicing of HVAC components related to the compressor. The procedures contained in the service guide are considered to be HVAC industry "best practices".